The co-working model is evolving into partnerships between property owners and co-working companies. During a Building Owners and Managers Association panel on March 15, both co-working companies and building operators were on hand to discuss the changing model that may prove to be more reasonable. Dashti explained that he wouldn’t have developed WorkVille if his business partners were not the landlord. Since this is the case, he said it makes everything easier including communication between tenant and landlord and how the company operates. The co-working model continues to grow in New York City, with dozens of competitors offering their own take on the idea. WeWork, the largest private office tenant in Manhattan, has been expanding rapidly by swallowing up more property in the city while offering different versions such as We Company, a retail twist on co-working, and WeLive, a co-living model. CBRE created their coworking brand called Hana a month after, and independent landlords are even partnering with third-party companies to create flexible space in their buildings. 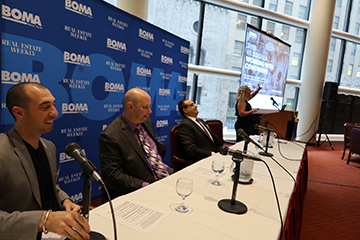 Hani Salama, a panelist and BOMA’s president, said co-working has taken over how startup companies get their foot in the door and the trend will stick around for many years. “As far as where they’re going to go from here with their exponential growth, they have been taking a lot of risk,” Salama said. Salama added that co-working companies are getting more creative in adding unique amenities such as cafes, daycares, and even fitness centers to add some energy to the model. At the center of the co-working model, Dashti said a landlord-co-working company relationship provides less risk and more of a personal investment. Dashti added that another benefit of having a co-working company that the landlords are part of is that when an emergency occurs with another office or tenant, they have backup space through WorkVille. 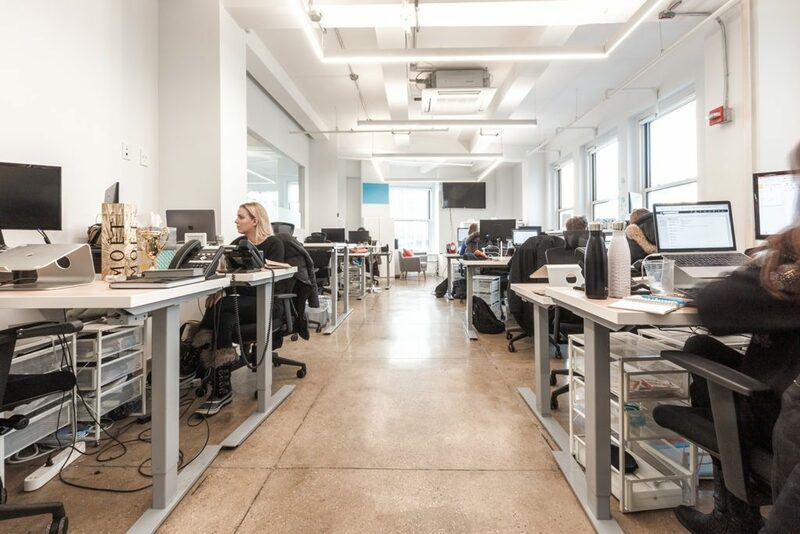 At the 1412 Broadway building, there was a pipe burst on a lower floor where an office needed to relocate immediately to resume their operations, so WorkVille took in 25 employees the next day, Dashti said. 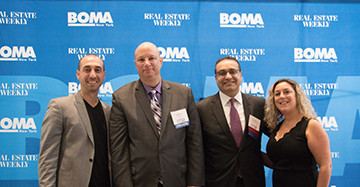 Pictured at the BOMA co-working panel are l-r: DJ Dashti, co-founder, Workville; BOMA president Hani Salama, executive vice president, Capital Properties; John Ferrante, Portfolio Manager, RXR Realty and; moderator Jenna Catalon, senior associate, Cushman & Wakefield.